Bahamas scuba diving and snorkeling can take you into a world of underwater adventures. Caribbean dive vacations are unique since all islands in the region offer something unique and special. But what makes Bahamas diving even more exciting? It is the vast amount of choices among their many islands. Even though it is a chain of about 700 islands, only about 30 are inhabited. Each island is special in its own way. From wall dives to shark diving and the marine life you may eventually have multiple vacations to the Bahamas. That sounds like 'the life' to me! If you are looking for variety in a dive trip, then in the Bahamas... that is what you will get. You can look forward to exploring sunken shipwrecks, blue holes for the curious ones, be fascinated by the multitude of marine life, look fear in the face by experiencing shark expeditions and there is even cave diving in the Bahamas. Let's say you are a newbie to diving, that is not a problem. Consider trying out diving for the first time in the Bahamas. It is probably the best place to learn with crystal clear waters. You can feel comfortable in the mostly serene blue waters of the Bahamas. On the other hand, adventurous divers who are looking for more challenging dives can charter a boat, or book a dive tour operator to get to the best dive spots the Bahamas has to offer. 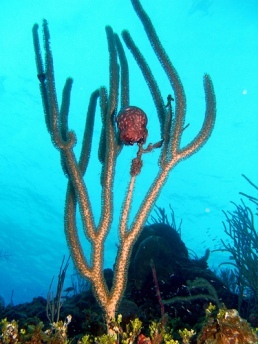 When scuba diving in the Bahamas don't expect largely over crowded dive locations. The major attractions like the Andros Barrier reef which is the third largest in the world is regularly explored by divers. Other must do dive islands are Grand Bahama, Bimini, Abacos, the Berry Islands, and San Salvador. Some resorts provide specials during the year to cater for scuba divers. Be sure to take advantage of these offers before booking your accommodation.